After the diagnosis completed, treatment could be performed. 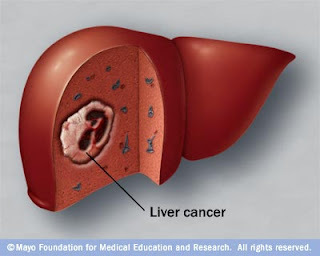 Many treatments are available to fight cancer of the liver. Tumor ablation and chemotherapy are two common treatments for primary liver cancer while chemotherapy and surgery as the common treatments forsecondary liver cancer. The other possible treatments are biological therapy, selective internal radiation therapy (SIRT), endoscopic stent placement, and palliative treatment. When condition of the liver is really bad, liver transplant is possible. However, it is hard to find suitable and eligible liver donor.